There are 5 Widget Areas on the front page. 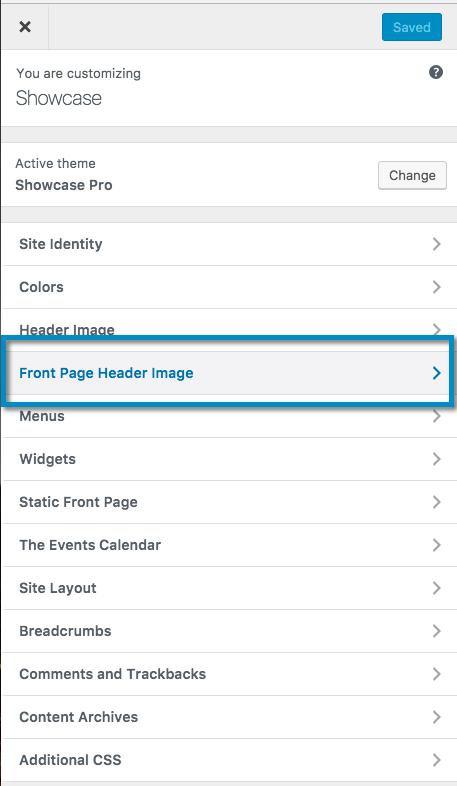 The before-footer and footer area appear on every page but their setup is not covered in this article. The Front Page 1 widget area in the Showcase Pro theme demo uses one Text widget to display text and a button. Showcase Pro comes pre-loaded with a default image that is used as the background for the Front Page 1 Widget. 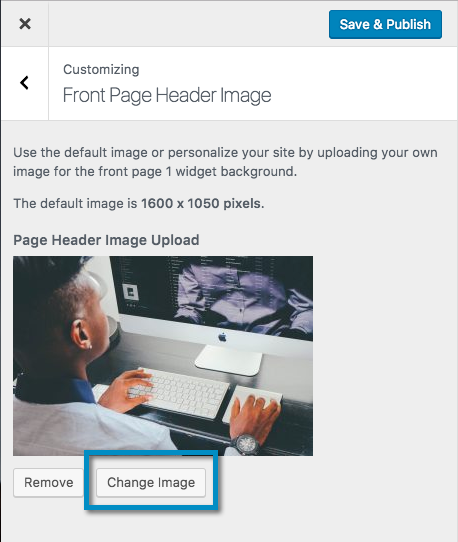 You may use this default image or go to Appearance > Customize > Front Page Header Image to upload your own. The default image size is 1600 x 1050 pixels. Go to Appearance > Widgets to add a Text widget to the Front Page 1. Here is the widget code used on the Showcase Pro Demo.